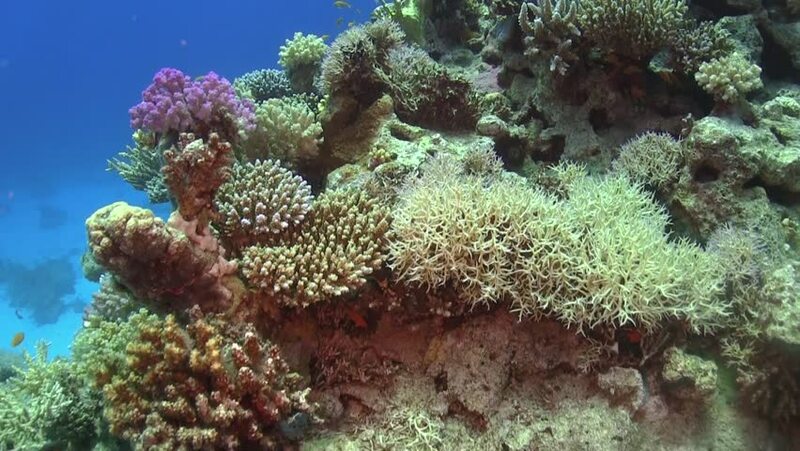 hd00:15POV of scuba diver or animal swimming over coral reef with both hard and soft corals. Shark Reef, Ras Mohammed National Park, Red Sea, Egypt? ?